Businesses today are looking for an advantage: how to become more efficient and how to eliminate waste. Zero-Sort recycling—all recyclables in one container—can be an important part of helping you run a smarter, more efficient business. 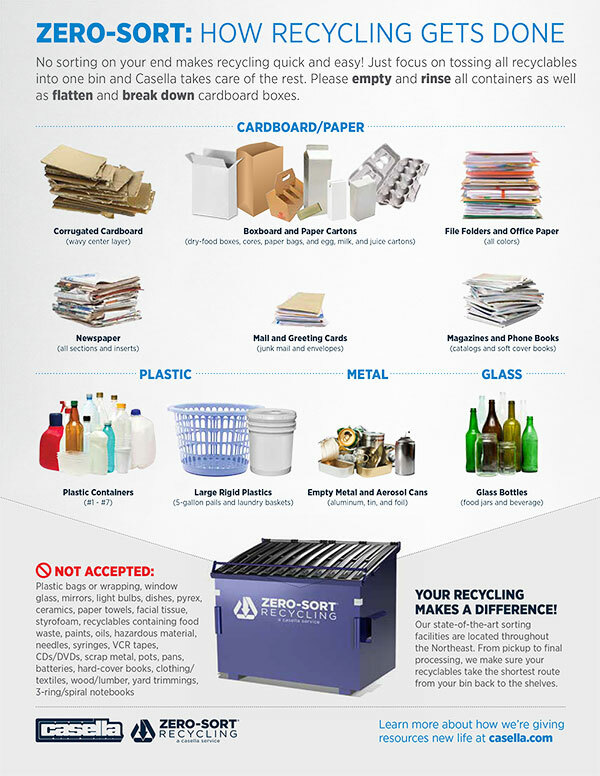 Zero-Sort recycling can save you and your team time and effort. It can help you save our natural resources. It can also save you money by shrinking the amount of waste you throw away. Our state-of-the-art sorting facilities are located throughout the Northeast. So from curbside pickup to final processing, Casella makes sure your recyclables take the shortest possible route from the bin to the shelves. 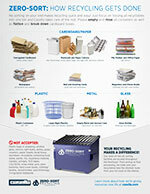 No sorting on your end makes it easier to recycle more stuff more often. You just focus on filling the bin – we take care of the rest. Green is much more than an empty promise or marketing tactic. It’s our livelihood. And it’s why we gear everything we do toward real, measurable results. 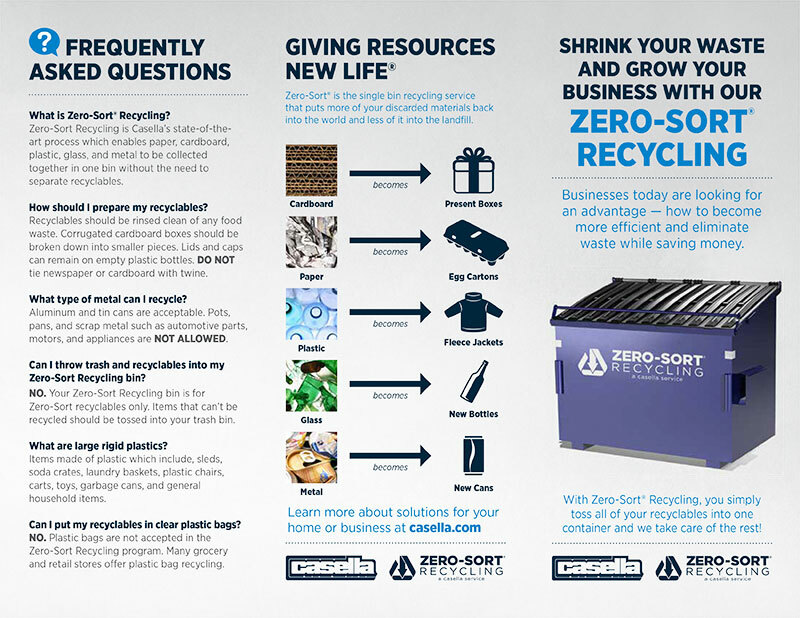 To see how Zero-Sort makes the most of your recycling efforts, visit casella.com.